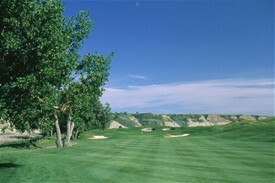 "Heart Pounding Fairways..." Be prepared for the ultimate heart pounding fairways of Paradise Canyon. 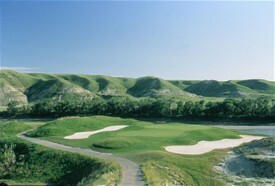 Golf Digest has recognized Paradise Canyon as CANADA'S TOP 60 COURSE (out of 1800 courses). 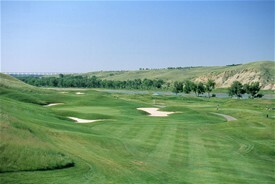 The course has also garnered the NUMBER ONE rating in Southern Alberta. 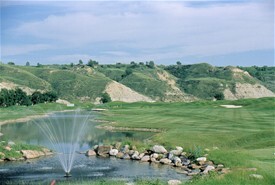 The city of Lethbridge may not be known as a golf Mecca, but this course is quickly thrusting this friendly prairie destination into the nation's golf limelight. 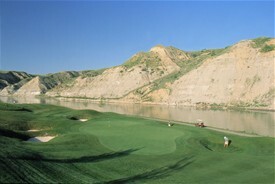 Maybe this is why Lethbridge recognized Paradise Canyon as it's 2004 BUSINESS OF THE YEAR for it's Resort Wide Hospitality... "An Unrivaled Golf Experience..."
"I have played 3 of the top 10 and a dozen of the top 75 ranked courses in Canada from Highlands Links in Cape Breton to the National Golf Club in Woodridge and Capilano in West Vancouver. I am a serious golf addict. 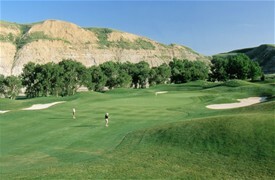 When I played Paradise Canyon it ABSOLUTELY BLEW ME AWAY! I really don't know why Paradise isn't ranked number one in the country. 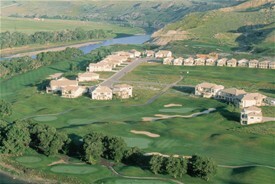 This is an unrivaled golf resort experience in my opinion." 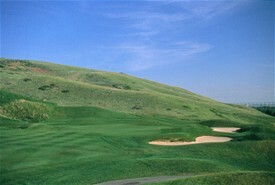 A mid to long iron is required to hit this two-tiered green. 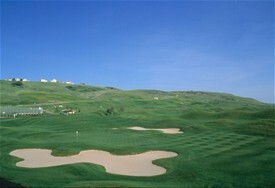 Club selection is critical to avoid the three large bunkers. Slicers beware of the prevailing left to right wind. 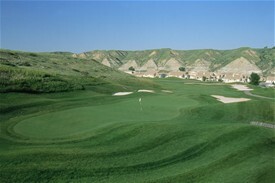 The most challenging par 3 at Paradise requires a long iron or wood to a well protected green. Left or right can put a bogey on the card almost automatically. Usually reachable by only the longest of hitters in two shots, the main goal here is accuracy. 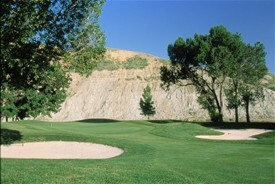 Two well placed woods will leave you a wedge shot to a double tiered green. Avoid the front right bunker. 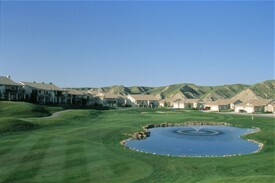 The tee shot must get to the corner of the dogleg to avoid a blind shot into a narrow three-tiered green. Use enough club to find the right tier or a a three putt is more than likely. Put the driver away. The risks are far greater than the rewards. A mid to long iron tee shot sets up a short iron approach. Left or long is certain trouble. 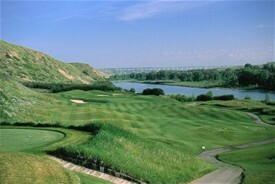 Depending on the wind, the signature hold at Paradise can require anything from a PW to a 4 iron. 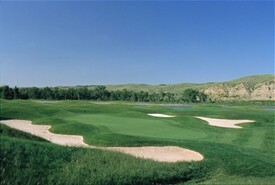 On a calm day, one less club can set up a good birdie opportunity. The green is larger than it appears from the tee. 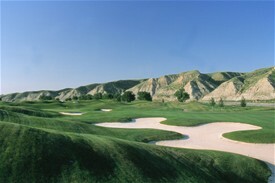 Club selection is essential to avoid the large front bunker. Watch for subtle breaks in the green. Tip it and rip it! 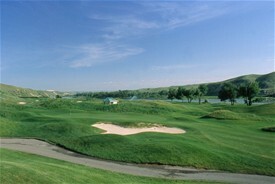 Brute strength is required here although the hold offers both the largest fairway and green on the course. A large swale bisects the putting surface so try to find the proper tier. 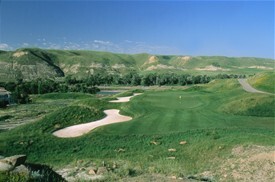 An accurate long iron is required to navigate the final Par 3 at Paradise. Anything right is in the Old Man River and left is no bargain. 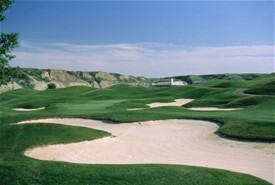 Take enough club to carry the front bunker.